Advanced web protection made simple. 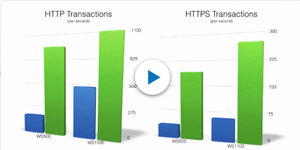 Get the ultimate in web security, control, and insights. It’s web protection that’s effective, affordable, and easy with lightning performance that won’t slow users down. New Sophos Sandstorm extends conventional security to enhance ransomware and targeted attack protection, visibility, and analysis. Sandstorm complements Sophos Web Appliance to quickly and accurately detect, block, and respond to these evasive threats using powerful cloud-based, next-generation sandbox technology. Get the most advanced protection from ransomware and targeted threats. Great web malware protection starts with our world-class in-house threat researchers that are working around the clock with advanced automation to identify and stay ahead of the latest threats. SophosLabs provides continual intelligence updates on the latest malware hosting, phishing and distribution sites as well as anonymizing proxies and other risky sites and only Sophos provide updates in real-time via our Live Protection network. We’ve made web protection simple, from deployment, to daily management, and even support. Easy Deployment: With Sophos Web Appliance, you’ll find it’s easy to get up and running quickly, including easy AD synchronization. Easy Management: We’ve optimized all the daily workflow routines, not only making them intuitive, but also by streamlining everything. You’re never more than a few clicks away from adjusting a policy or running a report. Remotely Monitored: Your appliance is closely monitored around the clock —a service unique to Sophos. If there's a problem with your Sophos Web Appliance, we'll probably know before you do and we'll be on top of it before you even need to call. Our Sophos Web Appliance works seamlessly with your Sophos Secured Windows Endpoints to provide complete web protection for offsite users. 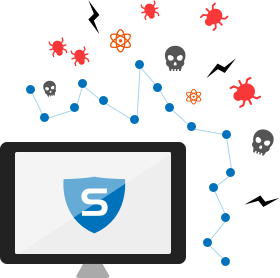 When they leave the local network, the Sophos Endpoint takes over, providing full enforcement and protection everywhere they go. Policy updates and browsing activity are automatically synchronized. It all just works better together. Transparent protection that won’t slow your users down. We’ve gone to great lengths to ensure that our Sophos Web Appliance delivers the ultimate in performance. 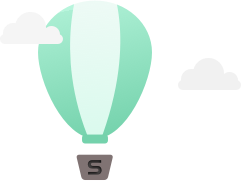 We’ve made it so your users and mission-critical web applications work lag-free, with no noticeable latency. 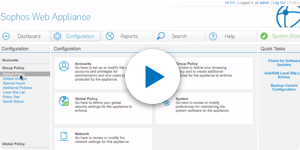 Sophos Web Appliance provides big-data reporting without a big investment in database servers and administrators. You get rich reporting, deep forensic capabilities, and intelligent dashboards and alerts that keep you on top of all of the activity on your network. All the policy control you need to keep your users productive and compliant online. You'll get all the tools you need to easily customize your policies to meet compliance obligations, manage productivity, optimize bandwidth, and keep your users and organization safe while online. Whether you simply want to block inappropriate content, or get into more advanced policies like time or bandwidth quotas, we’ve got you covered. Quickly and easily build policies by user or group, selecting from dozens of pre-defined categories. You can then easily customize your policies on the fly as circumstances change. If you need granular control over web applications, we’ve got that covered too with new social web app controls for individual features for Facebook, YouTube, and much more. We also ensure your users can’t easily bypass policy using anonymizing proxies or by tampering with the endpoint agent on their mobile device.